The fast food mogul is mimicking the fast casual segment with new customizable kiosks. Customers will be able to go directly to these self service POS terminals and customize everything about their burger– including the type of bun, toppings, and sauces. 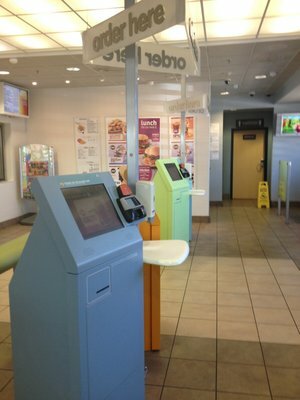 These kiosks were available currently at four McDonald's' locations, but now they are expanding to 30 locations spread between five states,– including California (where the original testing began,) Pennsylvania, Illinois, Wisconsin, Georgia, and Missouri. There burgers will not be the only major menu item that customers can customize, the brand is also adding a second meat option– chicken. Will this give the quick-serve brand the competitive advantage versus the better burger fast casuals- such as Habit and Smash Burger?